We are thrilled to introduce a new collaborator to the blog, Marika Brussel. Marika Brussel trained on scholarship at the Joffrey Ballet School and at the High School of Performing Arts in NYC. She performed with companies around the country, including Joffrey Concert Group. She has worked with students from 2-101, and has taught at the National Dance Institute of New Mexico, and in the public schools in New York, New Mexico and in Berkeley. She earned an MFA in creative writing at Sarah Lawrence College, and taught college writing at Hunter College, the College of Santa Fe and the University of New Mexico. 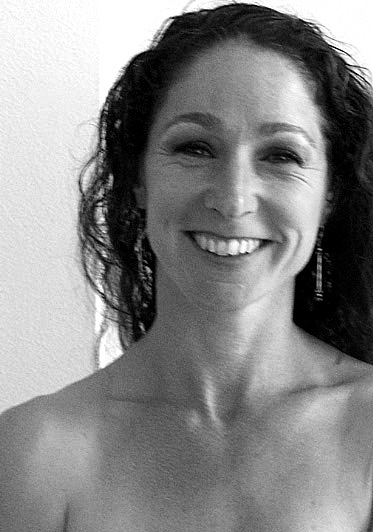 She currently teaches ballet at ODC Dance and dance to people with Parkinson's Disease through Berkeley Ballet Theater. Here is what Marika had to say as she was attending a rehearsal in New York in December. Philip Glass emanated from the laptop in the corner, as Wendy Whelan and Brian Brooks knit themselves together through the center of the studio. “And I’m Wendy,” she said with a little jig, and a smile that made her look like a teenager. A few minutes later they started working on the piece again. The fluid connection between Brian and Wendy set the tone for their work—easy, easy. They seemed to read each other’s movements like a first language. Having never seen Wendy in a purely contemporary piece, I was delighted, but not surprised, by the ease and beauty with which she approached and enveloped the work. Bare-footed, in a green leotard—Brooks’ unique choreography moved through her naturally. “Sorry, sorry,” each said when a movement was awkward, didn’t work. And went back. Each subsequent time the piece grew deeper. Steinberg suggested subtle, brilliant changes, demonstrating her ideas. And the piece connected more. Wendy’s face lit in a smile as they serpentined through the room. Her passion for dance and for this partnership shone with a bright clarity. She is exquisite.